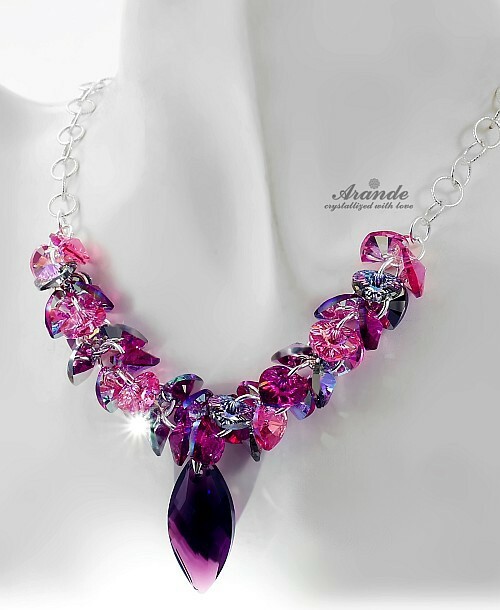 Beautiful necklace comes in ROSE, VIOLET AND FUCHSIA colors with amazing gloss. The crystals cut gives more shine than the other crystals. 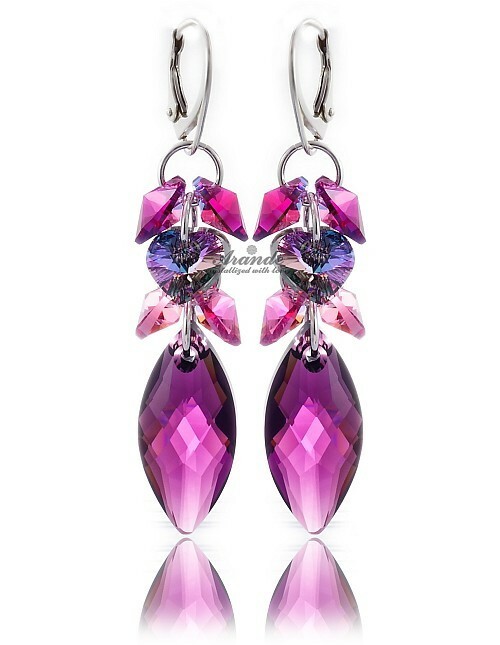 The matching earrings and bracelet are available at our other auctions. CERTIFICATE OF AUTHENTICITY. Perfect gift for you or significant other. 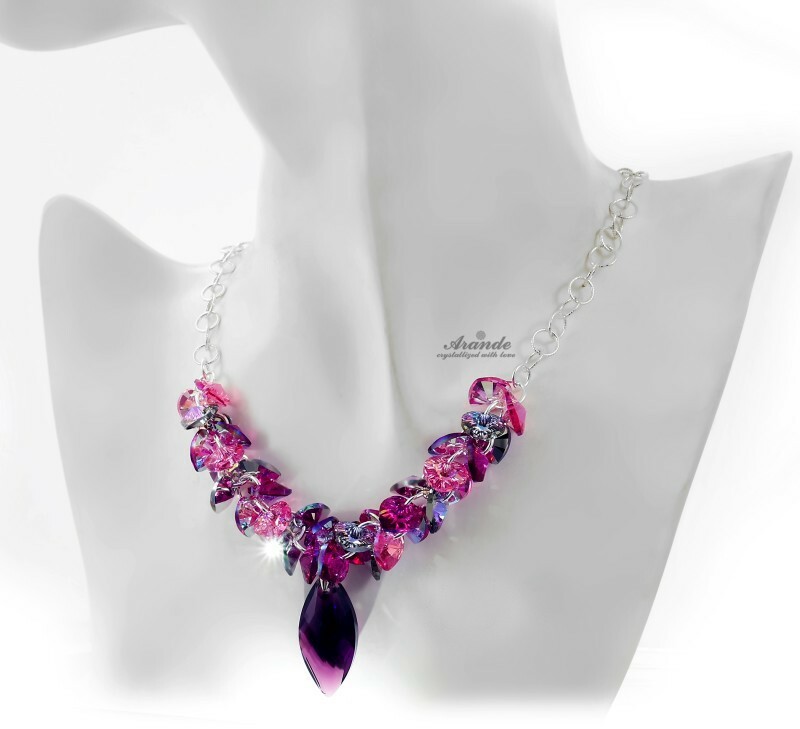 Jewellery comes with certificate of authenticity and original hologram. We guarantee the genuine origins of the Swarovski Elements crystals made by world-known Swarovski company. All of the products are licensed.